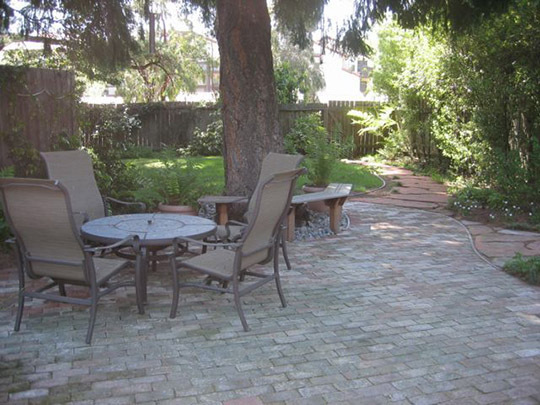 The first step in garden design is to develop a concept plan. The final product of this process is a drawing (to scale) showing any changes as well as pre-existing elements to be retained in the new garden design. The concept plan is a synthesis of the clients' expressed wishes for their new space along with my design recommendations for their new garden. The concept planning process typically involves the identification of an appealing "theme" or style: Mediterranean, tropical, Southwest, Japanese, cottage garden. These motifs are all images that can help guide design, building material, and planting choices, leading to a unified result. The aim of the concept plan is to capture the "essence" of the new garden with sufficient detail and accuracy for this plan to be used for cost estimates as well as building the new garden. After completion of a concept plan, planting design is the next step. 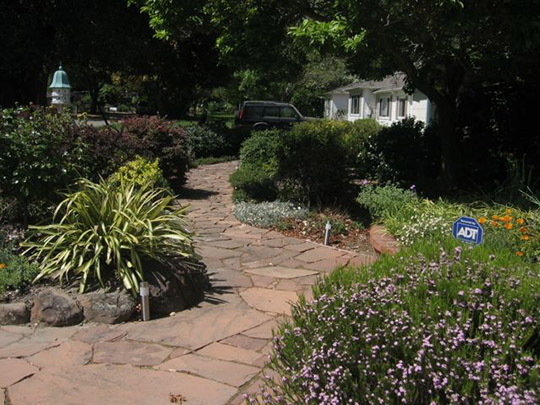 While the concept plan shows generalized representations of planting areas, shrub and perennial borders, screen hedges, and tree placement along with other garden elements like paths and structures, it doesn't show specific plant choices. A planting plan builds on the concept by showing where each new plant goes and its eventual size in the established garden. The planting plan includes a list showing plant names, plant sizes, and quantities of each plant in the plan. Once the planting plan is complete, it is possible to plan the irrigation system. Realistically speaking, hand watering is only feasible for the smallest of gardens. 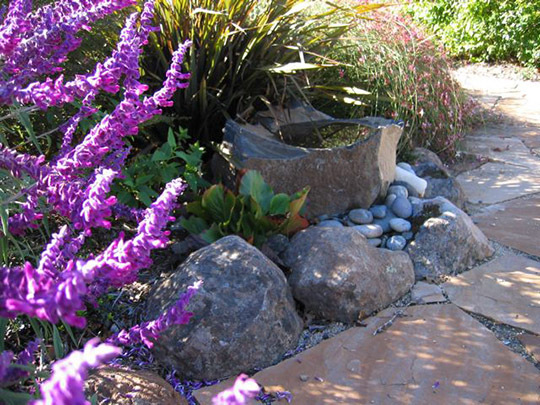 Most homeowners opt for an automatic watering system that helps their new garden get established and continue to thrive into the future, given California's long, dry Summers. Drip irrigation is my design recommendation for all but the thirstiest types of plants and lawns. 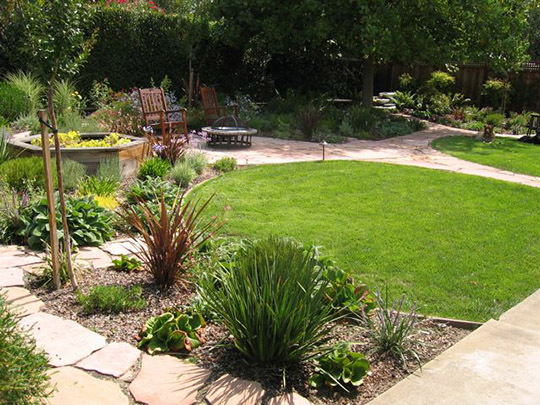 In addition to garden designs for new and ongoing clients, I offer an hourly consulting service for project oversight during installation, to help newly planted gardens get established and to lend my expertise to any ongoing maintenance issues. My years of experience in creating and caring for gardens, has taught me that gardens are dynamic creations. Made of living things, they change from year to year and even the most skillfully designed garden needs to be "refreshed" from time to time. As your garden develops, I can help with new plants and recommendations for careful pruning to keep the garden looking its best. Please call with any of your garden needs; if I can't help you, I know someone who can.